Craig Christopherson is a wood, metal, air and water Sculptor/Multi-Media Artist. 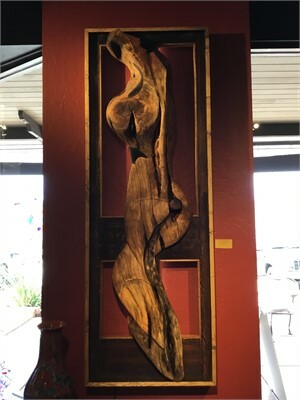 The son of Chris Christopherson; he has been creating work since the early 1960's. Alligator Juniper Wood Table: Epoxy w/ Yellow LED lights- Metal & Wood Base-Remote , Batteries and Charging Station.